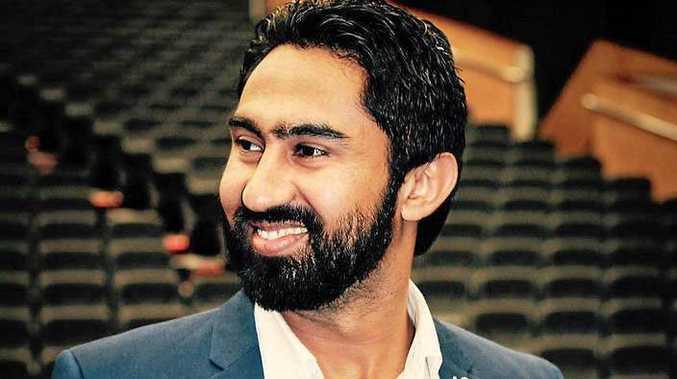 THE man who killed Indian bus driver Manmeet Alisher with a petrol bomb as he boarded a bus at Moorooka in 2016 will never stand trial over the slaying. Anthony O'Donohue, 50, was today ordered by the Mental Health Court to spend the next 10 years in a high-security facility for the criminally insane after Justice Jean Dalton found he was of unsound mind and unfit to stand trial. He was placed under a forensic order, which will not be revoked for at least a decade, after the court heard he suffers from paranoid schizophrenia and a severe psychotic illness, which caused the killing. Justice Dalton's decision to force O'Donhue to reside in a secure facility was a landmark move for the Mental Health Court. The order, made for the community protection, is usually determined by a panel of psychiatrists and tribunal and stops the person being treated in the community. "This court has never before made a non-revocation order on a forensic order," Justice Dalton said. "Generally psychiatrists are against such things because they do not like the court interfering in medical treatment." Justice Dalton asked assisting psychiatrist Dr Frank Varghese: "Must I take it from your recommendation that you consider this case truly extraordinary?" "Absolutely ... this is an extraordinary case and the issues of dangerousness are quite serious," he replied. The court heard O'Donohue was a man plagued with delusions relating to distrust of unions, the Brisbane City Council and by extension, bus drivers. He had been mentally ill for more than 15 years before the attack on Mr Alisher - also known as Mr Sharma -- but had stopped taking his medication in late 2014 and rarely engaged with a doctor. It wasn't until 2016, that his schizophrenia deteriorated to the point he loaded a molotov cocktail into a bag, before boarding a bus around the corner from his home and placing it on Mr Alisher's lap as he greeted him. O'Donohue believed the killing would make the conspiracy against him stop. He was later charged with murder, arson and attempted murder of 14 people on the bus, who the court heard were trapped in the vehicle after the petrol bomb was doused on Mr Alisher. The court heard O'Donohue's paranoia began around 2003 when he was working as an accountant for the NSW railways. "It seems from his consistent account, he uncovered some kind of irregularity and he alerted someone and he was treated by badly as a whistle-blower and this tangled in him a sense of injustice," psychiatrist Dr Pamela Van de Hoef told the court. "He ... unshakably believed to a delusional degree that a vast number of people had been involved in persecuting him." The court heard O'Donohue soon believed everyone was against him, including his own family, that he was receiving messages through the internet and television and his apartment had been bugged. He began to make up his own words and wore a colander on his head because he believed the people persecuting him could read his thoughts. In the months leading up to the killing, he became more deluded and was not medicated. "He began to believe his food was being tampered with," Justice Dalton said. "He thought he received messages through the television, the radio and the internet. "He thought there were messages in newspapers... on people's t-shirts, on the sale dockets he received at shops..."
The court heard he suffered "delusions of reference" where he had paranoid ideas about colours or symbols, leading to him follow a woman with a black handbag for hours one evening. "He told me there were some people on the bus wearing pink and he concluded they were part of a pink army who were part of the conspiracy," Dr Van de Hoef said during evidence. "He actually invented new words … he believed the doctors at Princess Alexandra Hospital had injected him with something called nanobytes … that were reading his mind. "He felt increasingly cornered by the conspiracy." In the months before killing, the court heard O'Donohue believed mining magnate Gina Rinehart was going to rescue him from the "game that was torturing him". The court heard O'Donohue had mostly failed to respond to any treatment in the past, but was very good at hiding his illness from treating doctors. He purchased the petrol used in the bombing about five weeks before the offences, later telling mental health professionals it was like a loaded gun, warning the people who were bugging his unit. On the day of the killing, O'Donohue took the petrol bomb in a backpack and intended to get on the first bus that came along and "make a statement" to his persecutors. "On the way to the bus he thought, believed, someone would stop him. 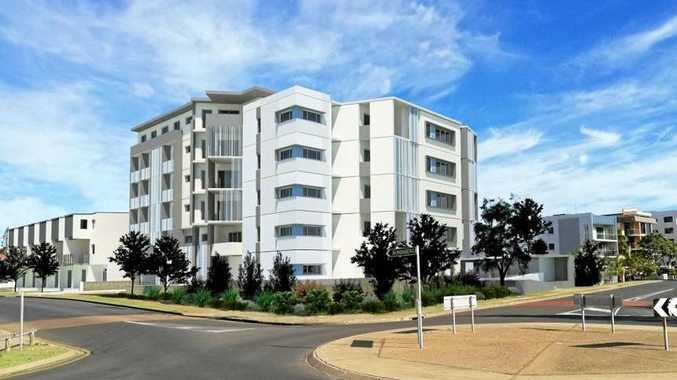 He really hoped someone would intervene," Dr Van de Hoef said. When he got on the bus, Mr Alisher smiled at him, which made O'Donohue believe he was part of the conspiracy. "The account he gave of the bus driver... he said he was smirking," Justice Dalton said. "So many of the passengers said Mr Sharma was lovely and he probably did smile and Mr O'Donohue and he didn't see a smile, he saw a smirk, and he misinterpreted it." O'Donohue later told police: "I saw the bus driver's facial expression and the way he looked at me and if that was different, maybe the whole thing wouldn't have happened." 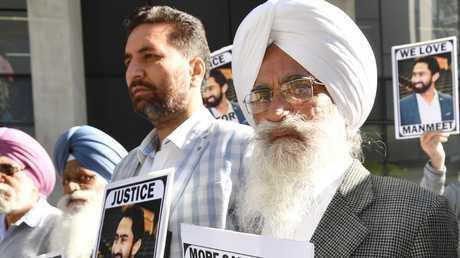 Outside court, the bus driver's family said they felt they had noone to blame for Mr Alisher's killing, following the determination by the Mental Health Court. The court heard there may still be an inquest held into Mr Alisher's death. Psychiatrists told the court the killing was not racially motivated.